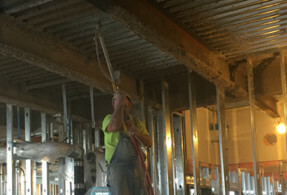 As an experienced construction and maintenance company focusing on fireproofing new building projects, Mid-Illinois Companies prides itself on operating in a competent and professional manner. This means doing business with clients seeking to protect their investment and producing efficient results promptly for all fireproofing work completed. 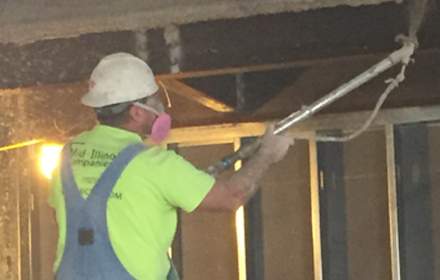 Since 1970, Mid-Illinois Companies has worked tirelessly to ensure buildings are safe and up to standards. To accomplish this, we have achieved the Qualified Firestop Contractor Program Marking of UL Certified Fire Stopping. 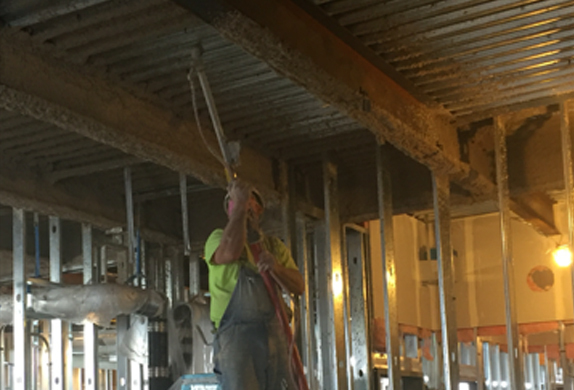 As a result, we have met all rigorous requirements of the fireproofing program. 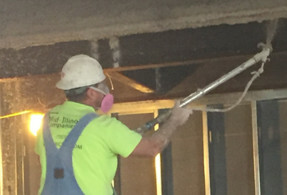 When beginning a building project – residential or commercial – you should insist on fireproofing solutions to protect the entire construction project. Generally, this task should be completed by a Firestop Specialty Contractor who has the right certifications. At Mid-Illinois Companies, we have such certifications due to the high level of quality service we provide, including our attention to detail and the steps we take to ensure everyone is safe. A qualified organization that meets the incredibly high standards of UL Certified Fire Stopping can use the Qualified Firestop Contractor Program Marking for their business. At Mid-Illinois Companies, we worked tirelessly to achieve such certification to prove to our clients that we truly mean business. As a result, our focus since 1970 has been on offering exceptional customer satisfaction. As a result, our UL certification demonstrates that we have accomplished this. We promise each and every customer that we will continue offering quality services that protect and secure your interests. In conclusion, if you would like to hire UL Certified Fire Stopping in Peoria or Springfield, IL, please contact Mid-Illinois Companies at (309) 674-0717. We would be happy to assist you in any way possible.